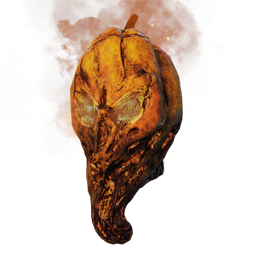 All Hallows' Eve was an Event in Dead by Daylight . 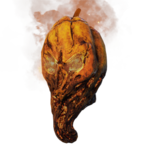 Alongside Patch 1.7.3, it kicked off the in-game celebrations in honour of Halloween 2017. The Event was announced with Patch 1.7.3's release on 16 October 2017 and took place from 26 October 2017 - 1 November 2017 with a Blood Hunt lasting for the entire Event. Patch 1.7.3 added a new Halloween-themed Menu Screen, adding new Props, such as Tombstones, Candles and Jack-O'-Lanterns, changing the Fog VFX and lighting and new Theme Music for the Menus and the Lobbies. "ALL THE PENS IN THE WORLD WERE SPUN"
Sally O'Lantern, for the Nurse .